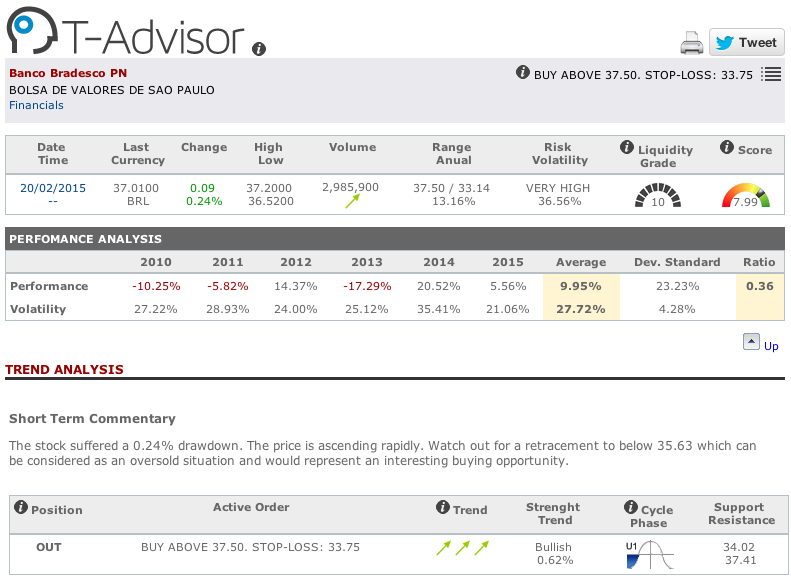 T-Advisor, through its tool Market Opportunities, has detected the company Bradesco, listed in Sao Paulo Stock Exchange, as an opportunity for investment. 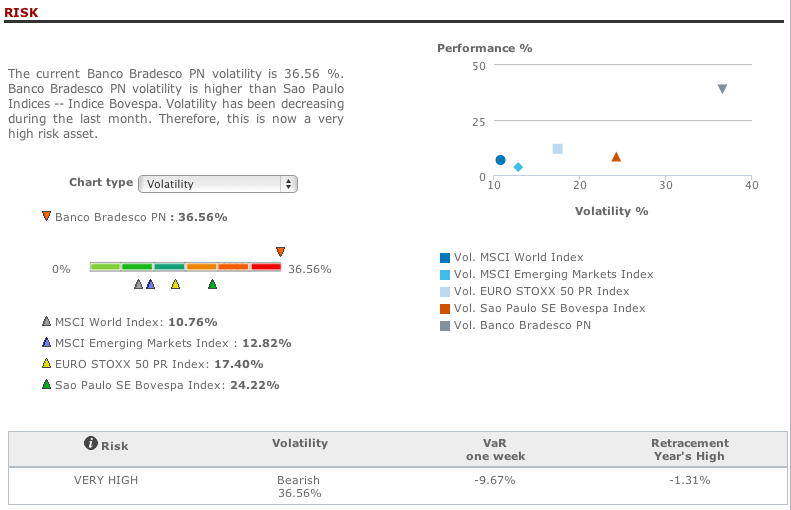 Bradesco is the second largest bank in Brazil. It has grown since the beginning of the century with several purchases and mergers. The group offers all kind of financial products, even insurances, and have branches in all municipalities in Brazil. The bank has around 17 million customers. Bank financial margin has increased 45% in the last five years, till R$ 43.2 bn, although this figure stagnated between 2012 and 2013. Adjusted net income has grown 61% in the last five years, till R$ 12.2 bn, with an important increase between 2012 and 2013 (+5.9%). The share registered a minimun in February 2014, but since then the price grew and now it is 41% higher. 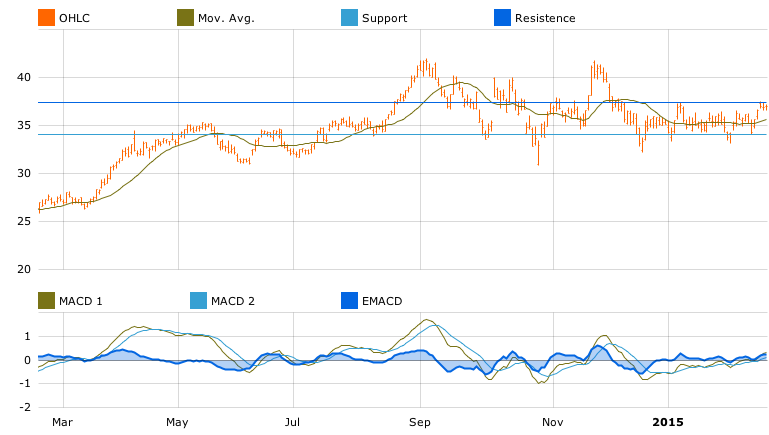 This entry was posted in Market Opportunities and tagged Bradesco, Brazil, Investment, Opportunity, Sao Paulo Stock Exchange on February 23, 2015 by Oscar Garcia.